First aid at work is providing instant assistance to a victim of an illness or injury until a medical professional is present. HSE legislation states that all employers are responsible for making sure their employees receive attention if they are taken ill or injured at work. It is essential for employers to make the right arrangements in the workplace, whilst also accounting for the size of the workforce and the potential health and safety risks due to the use of machinery or hazardous substances. This course ensures there are enough accredited first aiders available. How long is the First Aid at Work course? Who should attend the First Aid at Work? People who need to become accredited in first aid in the workplace, particularly in hazardous environments, according to HSE legislation. Is the First Aid at Work course accredited? When does my First Aid at Work certificate expire? The delegate must have a good knowledge of written and spoken English. To ensure all delegates being trained in First Aid at Work are able to deal with incidents in the workplace in accordance with HSE legislation. 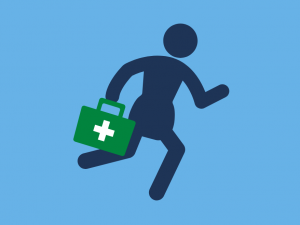 What is required to pass the First Aid at Work training course? There is no practical assessment for the Highfield First Aid at Work course, but the tutor will continually evaluate progression over the three days of the course, along with some written work. 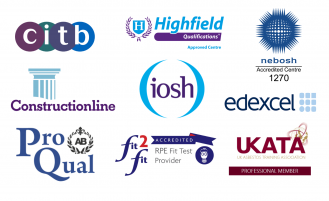 The Highfield accredited certificate is valid for three years, after which you must complete a re-qualification course to retain your accreditation. before the 30 day grace period ends. You must also provide a copy of your previous certificate when you book. In between your Requalification course, you may want to refresh your knowledge. The First Aid at Work eLearning course is an ideal course for that.